Italian food is known worldwide for being molto bene! With its pasta, pizza, sauces and gelato, you’ll have so many different foods to try. And if you’re planning on taking a trip to Italy, you’ll probably feel overwhelmed with the amount of food you’re presented with…and pretty sad you can’t eat everything. But which ones do you really need to try? Take a look at the 7 foods you must give a go while in Italy. 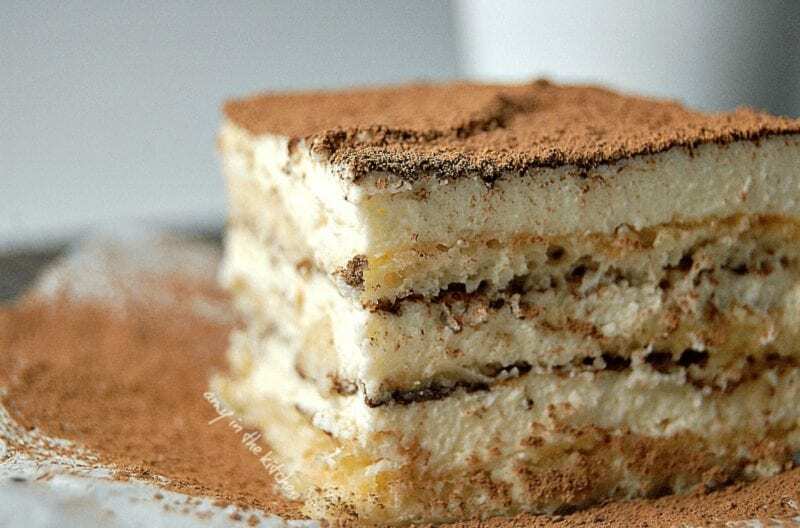 Italy is known for its delicious dessert – Tiramisu. Tiramisu has been around since the ’60s and is known for being one of the most famous desserts to come out of Italy and. It’s also a firm favorite for Italians and the rest of the world. Tiramisu is made from layers of coffee-soaked ladyfingers (but only the best coffee, of course), and creamy and sweet mascarpone cheese. There are different variations all across the country, as some restaurants choose to add cream and egg whites and swap the lady fingers for other biscuits and cookies…but the concept is still the same. And it’ll still be yummy. Fiorentina Steak is a steak to be shared, if you can bear to share it. The Bistecca Fiorentina is a huge, thick T-Bone steak that is cut at least five centimeters away from the loin of the Chianina cow. This steak will only ever come from this animal, which resides in Tuscany, and will also only be eaten here. The steak is then cooked for five to seven minutes on each side – so it is cooked on the outside but remains rare on the inside. There is no point asking for a well-done Bistecca Fiorentina because it will take all night to cook. Bottarga literally translates to ‘smoked eggs from the rat of the sea.’ Errrrrr….are you sure? This dish can also be called by its other name – Sicilian Caviar. Ah, now doesn’t that sound better? This Italian dish sounds disgusting but is actually rather tasty. In August and September of each year, Italians remove the roe from Grey Mullets, press it in salt for six months and produce the Bottarga – a collection of orange eggs, that are sliced over pasta and add a tasty zing. Still haven’t convinced you? Try for yourself. You can’t go to Italy without tasting an authentic, Italian Carbonara. And when in Rome, you do as the Romans do (or anywhere else in Italy) – and what they do is eat a lot of pasta. 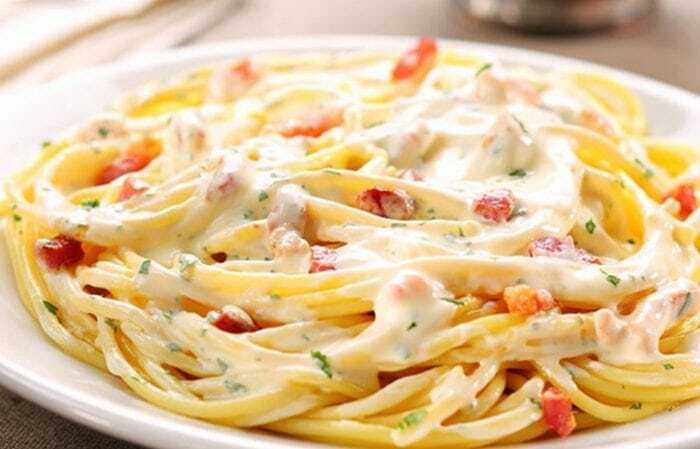 The Carbonara pasta dish is fairly simple, yet delicious. Made from spaghetti, eggs, black pepper, cheese and cured guanciale (Italian meat), it is best to find a local restaurant…because they’ll make it the right way and give you a true Italian Carbonara. Did you really think we could talk about Italian food without including Pizza? Italian pizza is by far the best in the world; and the country is famous for its tasty, tomato-y pizza. In Italy, there are two types of pizza to choose from. Firstly, you have the Roman-style deliciousness. This pizza has an incredibly thin crust which has a slight bite to it. Secondly, you have the Neapolitan-style pizza. This style has a fluffy, thick crust and is a bit more of a glutinous gluten bomb in your mouth. But a tasty glutinous gluten bomb. Gelato is the Italian version of Ice Cream. Although it may look very similar, Gelato is very different to ordinary ice cream; Italian law has made sure of it. 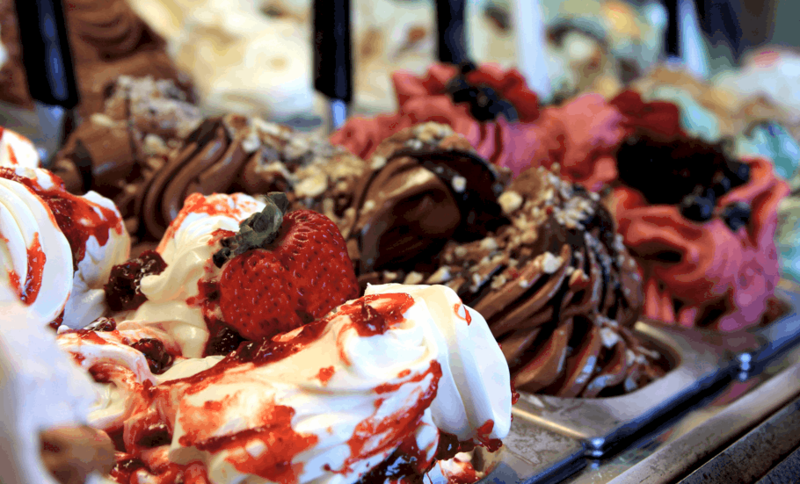 By Italian law, gelato has less butterfat than regular ice cream. Where ice cream normally has 14% butterfat, Gelato only has 4-8%, meaning it is much lower in fat…without losing the taste. Gelato is served warmer than ice cream, and this melted texture only heightens the taste of the mountain of flavors you’ll find all across Italy. Gelato has no added flavors, so everything is all natural, baby. Truffles are a firm favorite amongst Italians, and they love this exclusive fungus. Truffles are very elusive to find, and so come with a hefty price tag. These tubers grow in the wild, and only trained pigs or dogs can hunt out the best. The aroma of truffles is not for everybody, but the taste is undeniable. If you want to taste the best Truffles, you’ll need to visit Italy in the Autumn. Otherwise, you’ll be tasting them frozen! Fresh is best. We recommend shaving the Truffles over pasta dishes.